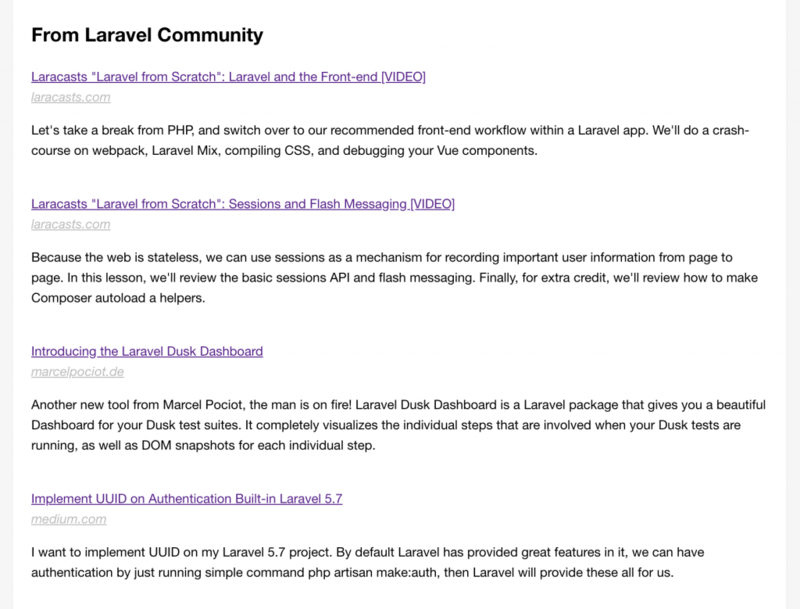 20+ useful Laravel-related articles every Thursday! Join 1800+ subscribers! Bonus: you receive a free e-book 50 Laravel Quick Tips! Still not sure? Check out past newsletter issues! Holywar: when to use Laravel vs WordPress?